In this review, we are going to spot the lights on SoloPreneur theme by FancyThemes, a new truly fancy WordPress theme made especially for bloggers and internet marketers who wants to take their online business to a professional level. 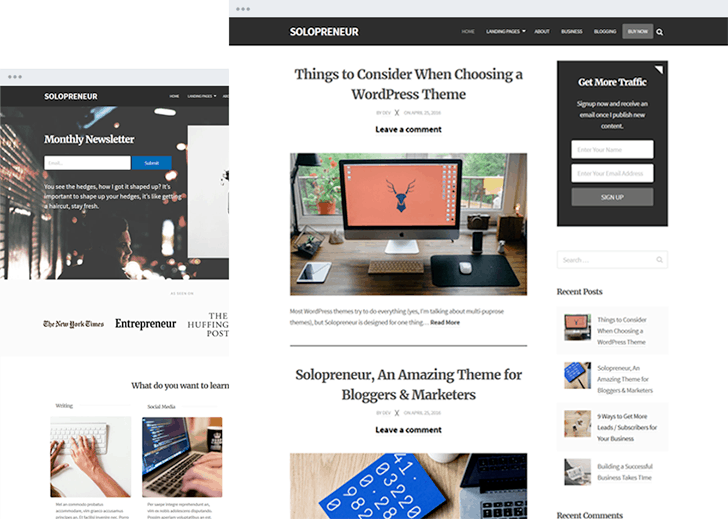 Continue reading our SoloPreneur review to get to know this awesome WordPress theme and see how it can help your blogging and online marketing profession. SEO Optimization – Engineered to follow SEO best practices and coded accordingly, rest assured your theme will be optimized and searchable. Google will always find you site and rank it well. Cross Browser Compatibility – All the major search engines, try as they might, will not render your website any other way then the way you intended…guaranteed. Retina Ready and Mobile Friendly – Your theme will look good on any screen and any device, no matter how small it is. Blazing Fast Speed – Just as design is a high priority with the FancyThemes team, so is page loading time. No excess code is present in any theme; you have what you need to perform well and nothing more. Translation Ready – Use the included .po and .mo files to turn your website into a global presence instantly. 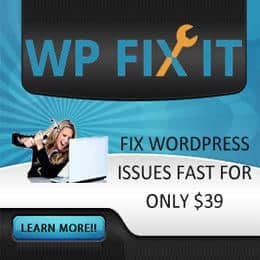 Regular Updates – Your theme will always keep up with the latest WordPress version. Endless Customization – Sliders, color schemes, widgetized homepages, logo uploads, crisp typography, and more will keep you plenty busy in the design phase. What’s more, the Live Theme Customizer makes it super easy for you to view as you edit so you will know exactly how your website will look to your visitors. Bold Imagery – Whether it be the customizable header image, the background image adding a unique feel, your blog excerpt’s thumbnail, or you actual post’s featured image, your themes will provide a spectacular viewing experience for your site visitors. This considered one of the most noticeable features of SoloPreneur. SoloPreneur integrates and plays nicely with the Optin Forms plugin, which allows you to create beautiful optin forms via a simple set of options, you can choose a form design, customize it, and add your form to your site to start catching more emails in your email list. Once you install and activate SoloPreneur theme, it will ask you to install the Optin Forms plugin automatically within your WordPress dashboard with only a couple of clicks. I have used this theme on my website recently. It looks great but some features are not there. I give only 4 stars. I had a chance to test out SoloPreneur, I must say it is one of the cleanest themes I’ve seen. Pretty much have all what you need in a WordPress theme.